This relish had such fantastic punch! 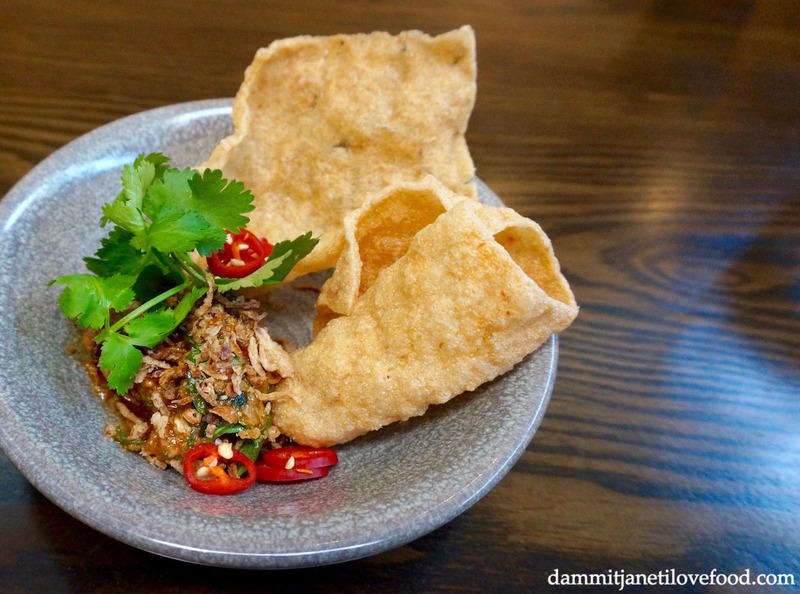 A harmonious blend of sour, sweet, salty and spicy flavours made this pork relish very Thai and very delicious. Just as amazing as everyone says it is! The pork was melt-in-your-mouth tender and had a marvellous crispy skin, while the vinegar balanced out the sweetness of the chilli caramel sauce. I liked this salad except for all the soggy pieces of fried fish. If only the fish had been served on top of the salad rather than tossed into it. We ordered the $29.50 per person Express Lunch Banquet which included an appetiser, 3 mains and steamed rice. The servings were surprisingly generous making this banquet option fantastic value for money. Although I’m not the biggest fan of their circular communal tables, I do like the atmosphere and I would definitely come back for the pork belly!